So the plan for the 2017 Bude dive club annual trip was to head off to Ibiza, it was some where most of us have never dived yet seems to have some interesting sites. An area was picked (away from the 18-30 hotels) and a hotel chosen, however contact with the on site dive centre gave us bad news. The Island’s dive centres wanted to see medical certificates, and not the BSAC self certification used within the organisation. Their plan B was to have us attend a medical upon arrival, at a cost of £60 euro each. We declined and spoke to a second centre who confirmed the requirement so a different location was required – Sardinia. Each of the flats are on a private residents park consisting of 5 blocks of two story buildings along with a central plaza with shops, bars and a restaurant. The units are all privately owned and when not in use by their owners are rented out via the dive centre or Air bnb. Because of this they are all slightly different but we did find them large, clean, comfy and well equipped. Mine even had a dish washer!! We couldn’t find an AI hotel in the location we wanted for the dates we had so the use of the offered accommodation type was accepted and plans made for who was cooking and who was washing up. We were too early to take advantage of the departure lounge so we enjoyed a breakfast at the on site bar and grill which was Ok, not the hottest, but tasty enough and cheaper than the lounge with the time we had. A simple flight and fairly quick passport control delivered us into the arrival lounge at Olbia airport where the dive centre bus met the 1st group to take them to the resort whilst a hire car was picked up by a couple of members as it was going to be needed for shopping runs and days out. The car was hired from a company called Noleggiare via Auto Europe and seemed ok for the needs. Pick up wasn’t the fastest, but the car was booked out and the accommodation found. We had a 2nd wave of divers joining us from Scarborough who were due to arrive on the Manchester flight the same day and these again were picked up by the centre van and taken the 25 minutes South, via a pizza take away as they were an hour or so late and had missed the on site shops. Next morning we arrived at the centre for booking in, kit sorting and diving. We had 11 divers and 3 non divers on the trip with qualifications ranging from PADI Advanced OW and Sports Diver through to BSAC Advanced and a couple of instructors. The hire kit looked well maintained and a good range of sizes. Some people had brought everything, others needed everything and some just a suit or BCD, all of which the centre had, mainly of the Scuba Pro variant. No one had any kit issues throughout the week and all were happy with the supplied equipment. The centre hires individual bits or complete kit with a maximum daily cost of 20 euro. We loaded kits into the pick up and jumped into the minibus or pick up and headed off for the 5 minute ride to the rib – an 8.58m with twin 150hp four stroke Hondas with room for 14 divers along with 14 spare cylinders and a couple of boxes for fins and the required tea flasks. The sites we used for the week were all centred around the offshore islands of Tavolara and Molara. The area has three levels of marine reserve that means in the red zone there are no boats allowed (except CG), in the yellow zone boats are restricted and only registered / approved boats can be moored. Anyone can be moored in the green zone but as in the yellow only the approved mooring sites can be used and no anchors. These sites consist of a large concrete block with a quality sized chain and a decent sized buoy onto which a carabiner can easily be attached or a rope tied through. The first days diving was to a site called Occhin Di Dio Tavolara- basically a range of large boulders close to the cliff with a decent sized cave to explore. The location gave a good first days check out as the shot line was at 15m with a shallow gradient down to 20m os so before moving up to the cave at 15m, with such a large opening there was no issues with exploring the cavern and we were met with plenty of colours and life. Getting back on the rib was entertaining, it has a ladder that comes down over the tubes, handing up fins and weight belts was best before the climb up the 3 steps and over the tubes. A couple of people did hand up kit too but with such high tubes this wasn’t the best option. Tea was served along with water and biscuits or crackers. It was served black with sugar which was a shame but it was hot, wet and plentiful as were the biscuits. The second dive was at Punta Arresto and was an interesting set of rock pinnacles with a maximum depth of 25m and lots of holes and cracks hiding squat lobsters, morey and other life. Both of these first day sites had plenty of grouper and reef fish including bream, cardinal fish and neon blues mixed in amounsgt the normal things you find in the med. Day 2 saw the sites of Tegghia Liscia, a 36m pinnacle garden with lots to find, including a couple of congers and the first of the week’s nudibranchs. 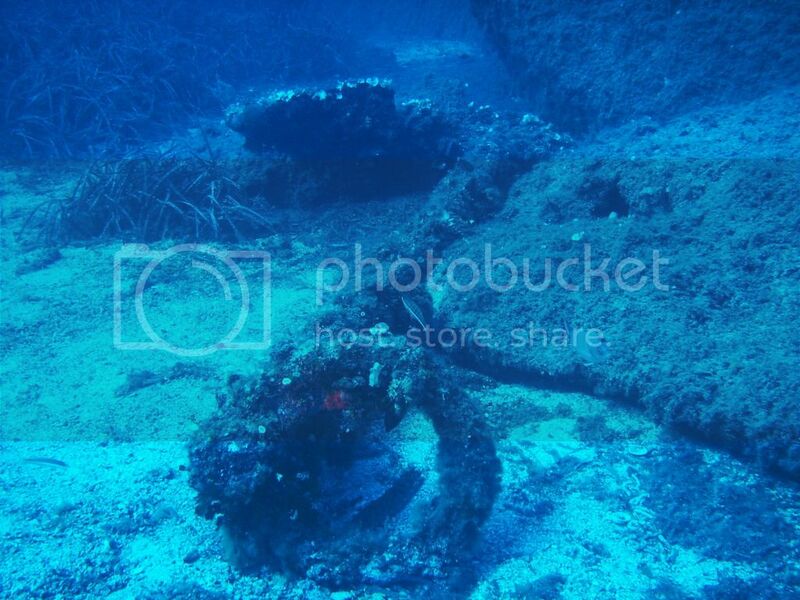 The 2nd dive was on the wreck of the Omega on a shingle sea bed. An 18m deep wreck that hit the island of Molara and burnt, she was then dynamited to try and find the ships crew, with no luck. This does mean though it’s an open wreck, with an upturned bow, a great swim through and plenty of bits to see that are easily recognisable as ship parts. As with all other sites there was plenty of life and colour including some lovely pink and black sea fans and large fan clams. Day 3 was a single dive down to the wreck of the Oued Yquem, a freighter sank during WW2. She had some lovely sea fans and a few fish but when compared to the rest of the dives ws pretty dark and lifeless. 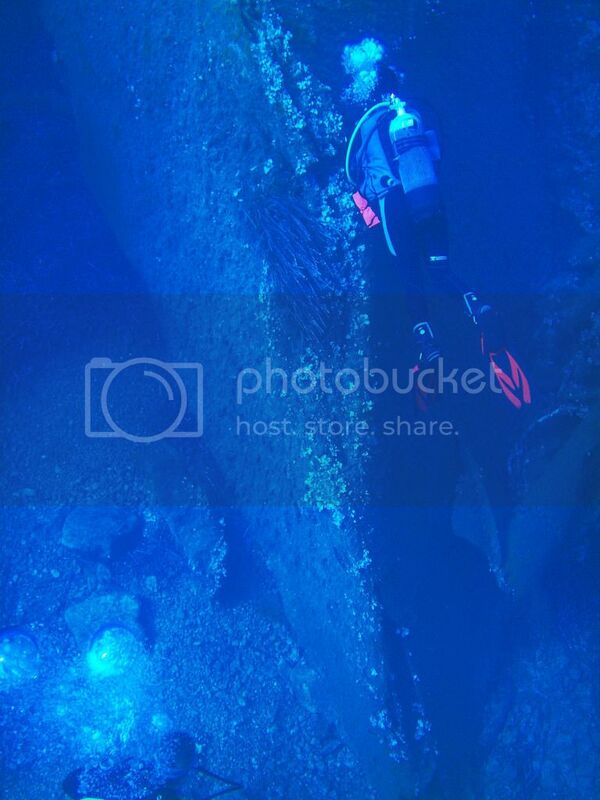 The depth was 38m and all that’s left really is the keel and hull shape, the structure having rotted away years ago. 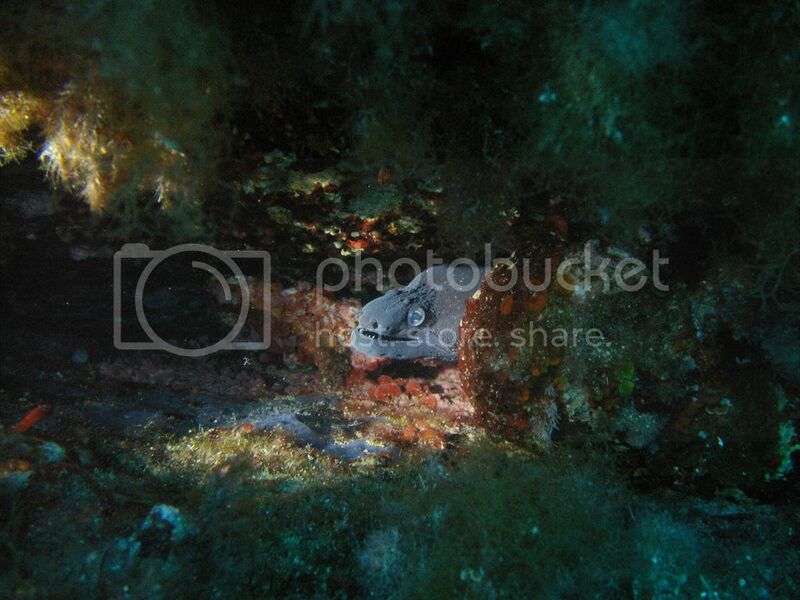 Secca Del Frico was our 2nd dive which was more of a boulder garden in 20m. It contained 2 massive admiralty style anchors and the usual life for the area. The final day took us back to Secca Del Papa, but this time to the 2nd buoy and a different set of pinnacles with a 50m depth and a minimum depth of 16m. The life, for me, was the best here that we’d seen, the colours the most striking and the size of moray the largest. Others preferred Papa 1 as their preferred dive. The final dive was in a shallower boulder garden called Borderline. This definitely had the best viz of the week, in the 30m plus range, the rest was all around 25-30m. It was a boulder garden sat in 20m which didn’t have the best life but there was plenty to see and find in the rocks, gullies and cracks, the top of the garden was at 5m so an easy stop, where as the morning’s stops where on the chain, or in our case an SMB –and included some deco due to the build up of depth, and our trip down to 42m. 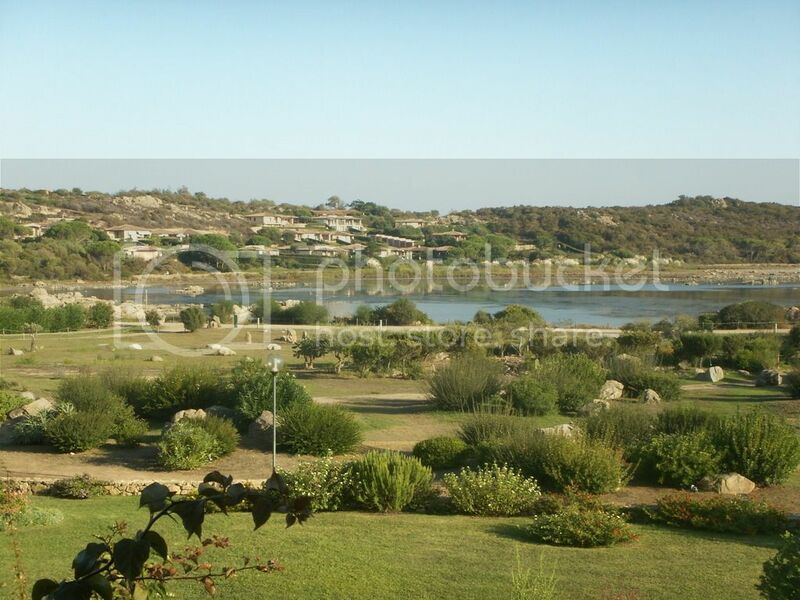 San Theodore is the nearest town and has a range of supermarkets, bars and restaurants and is a 10 minute drive away. There are loads of choices for food, drink and shopping on the peninsula itself, including the complex, but not in October! As the week went on we found more and more locations closing for the winter or running reduced hours. It was possible to eat and buy provisions locally but we found having the car invaluable for visiting other areas – there are busses but like the shops, vary depending on the season. The daily dive times were meet at 08:30, head out, complete two dives in the 45-60 minute lengtha d neb back for 13:00 ish. A model that went down well with the non divers, afternoon dives could be arranged if required and out wreck dive was such an event, leaving at 17:00 and being back around 18:30. All kit is washed in clean tanks and hung to dry once complete with each diver having their own named box for fins, masks etc. Fabio arranged a local restaurant o the last evening and drove the centre bus down with those not able to fit into the fiesta (we did manage 6 people but 14 was a tad too many). We were joined by the dive centre staff and had a lovely last night in town. Transfers back were simple and the airport departure lounge clean and roomy. There was a couple of eating options but taking your own makes good sense, duty free only had local products so now alcohol or cigarettes to bring back if that’s your thing, buy them in resort where they really are cheap enough. In short a superb location for a holiday, some cracking diving that we’ll happily go back to and some of the most fish prolific areas I’ve seen in the med, oddly enough to octopus were spotted though. Fabio and the team did a great job, with a good boat and quality equipment. We were able to complete Dive leader training whilst on site and the sites varied enough there was some thing for everyone and if you do go ask for block E or F – as they have the best sea views. Last edited by Treerat; 05-10-2017 at 04:21 PM.